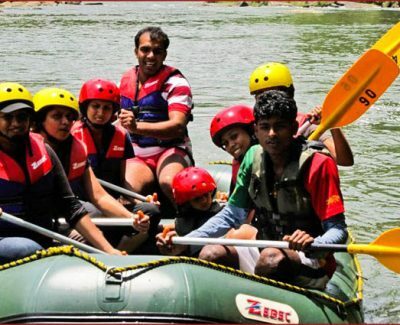 A few weeks ago I went white-water rafting in Kitulgala with my colleagues from work, and boy, was it a lot of fun! Well, the rafting bit, I mean. The 6 1/2-hour bus ride to and fro was a killer.